One of the hottest trends at the moment is fast casual, which is a slightly more upscale (and therefore more expensive) than fast food. Fast casual restaurants offer disposable dishes and flatware, but their food tends to be presented as more upscale, such as gourmet breads and organic ingredients. Open kitchens are popular with fast-casual chains, where customers can see their food being prepared. Panera Bread is a good example of fast casual. 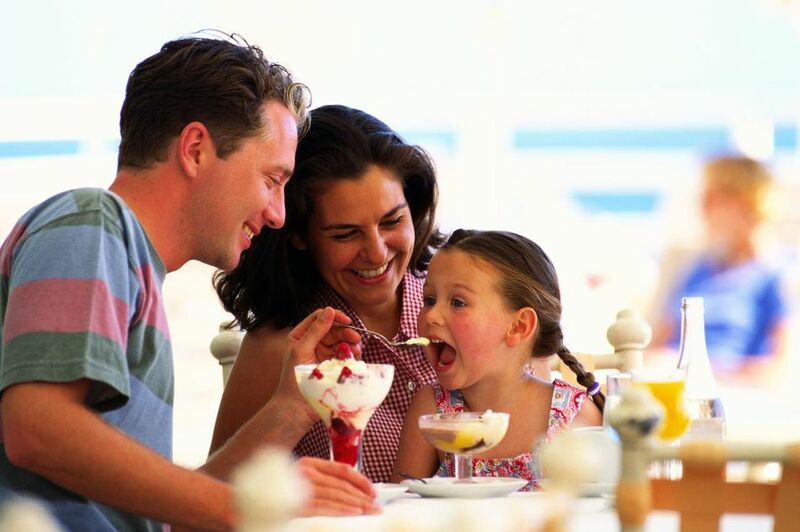 Family style dining, also known as casual style dining in the United States, offers moderately priced entrees from menus featuring a mix of classics cuisines, individualized with signature sauces, dips or other toppings. Causal style dining can be any number of themes, from barbecue (Long Horns) to Americana (Ruby Tuesday’s) to Mexican (On the Border). Casual style restaurants offer table side service, non-disposable dishes, while still keeping the menu moderately priced.Inexpensive, low-key setting. The term Fine Dining brings to mind all kinds of images, from crisp white tablecloths to waiters in tuxedos. Fine dining, just as the name suggests, offers patrons the finest in food, service, and atmosphere. It is also the highest priced type of restaurant you can operate. ​Fine dining restaurants are usually are unique, even if they are owned by the same person or company. A café is a restaurant that does not offer table service. Customers order their food from a counter and serve themselves. A café menu traditionally offers things such as coffee, espresso, pastries, and sandwiches. Cafes originated in Europe and are strongly associated with France. They are known for their intimate, relaxed atmosphere. Outdoor seating is another trademark of a café. A bistro is similar to a café, in that the food is simple, basic fare served in a casual setting. However, where a café may only serve coffee, bread, and pastries, a bistro may offer entire meals. A popular food trend across the country are mobile food truck restaurants. The benefits of food trucks include low cost and low overhead, making it one of the easier ways to open a new restaurant. Other advantages of a food truck business include its mobility- it can go to where the customers are. It also requires far less staff. However, a food truck is still a business that requires a lot of work and attention- especially in the first couple of years. Read more about starting a food truck business. Around since the Middle Ages, the buffet-dining concept has stood the test of time and continues to be a popular choice for many restaurant customers. By definition, a buffet is a meal where guests serve themselves from a variety of dishes set out on a table or sideboard. Restaurant buffets are one type of restaurant concept that includes self-service and catering services. If you are opening a new restaurant, you can offer a buffet for special occasions or as ​a restaurant promotion. Like food trucks, another growing trend in the hospitality industry is pop-up restaurants. Read more about how to open a pop-up restaurant. According to the National Restaurant Associations, What’s Hot survey, one of the biggest trends for 2012 was pop up restaurants. While popular now, pop-up restaurants are not a new concept. They originated as supper clubs in the 1960s and 1970s. Today’s pop-up restaurants have many different looks and functions. They can appear in an unlikely place, such as an old warehouse or building rooftop. The allure of the pop-up restaurant is the minimal investment of both time and money.